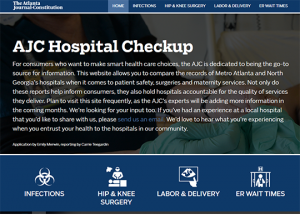 ATLANTA – Georgiahealthinfo.gov just made it even easier for Georgians to navigate through the myriad of health care options available to them. Newly added features such as long-term care quality comparisons, expanded provider look-up, and clinic and specialty hospitals search tools, enhance Georgians’ ability to identify long-term care options and health care providers. The new long-term care section features the Centers for Medicare & Medicaid Services’ five-star quality rating system, facility inspection reports and extensive information on the average cost of care for nursing home, personal care home, hospice care and in-home health care. Consumers can also download checklists to evaluate over 3,600 facilities. 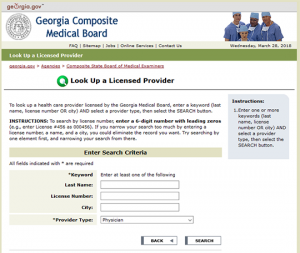 In addition to searching for hospitals, pharmacies, clinics, long-term care facilities and outpatient centers, consumers can also search a provider’s licensing and board certification on the expanded provider look-up, which includes 20,000 physicians. The Web site also features other helpful tools such as tips on choosing a doctor and how to file a complaint against a provider.